Get ready for your new favorite tobacco. 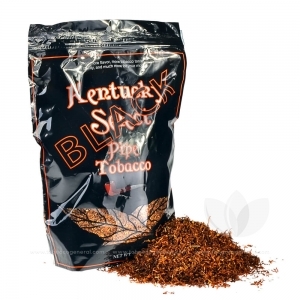 The Turkish Black is a delicious, slightly spicy yet smoky, natural tobacco blend. Similar to competitors like OHM, what makes this blend stand out is the all natural tobacco taste. Each bag is created using a unique processing method to bring out the all natural flavors of the tobaccos and deliver an uncompromised smoke. Kentucky Select is manufactured in Wilson, North Carolina by East Carolina RYO, LLC. using the finest, readily available, american grown tobacco leaves. Combining a smooth taste and an even burn with their unmatched value, Kentucky Select has become one of the most popular brands on the market. This Tobacco is the best smoke I have ever had,I used to smoke Marlboro Reds and never thought I could switch. I GET A REAL CIGGERETTE EVERY TIME!Try a small bag and you wont go back and it costs 4x less money (I live in NY)thank you KENTUKY SELECT!! !